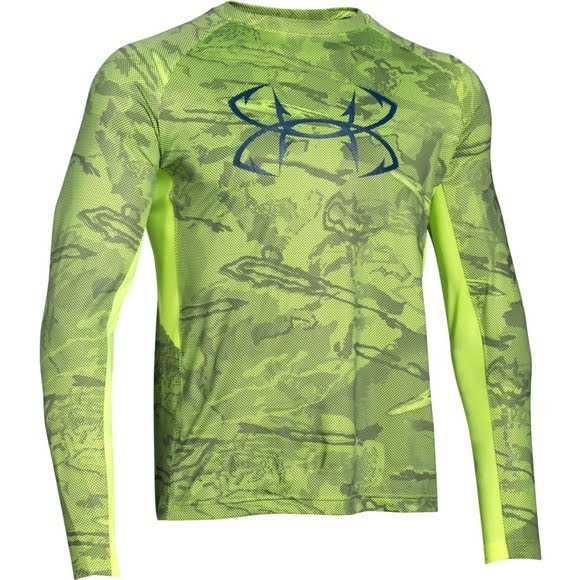 With a loose, fuller cut for complete comfort, the Under Armour Men's CoolSwitch Thermocline Long Sleeve Shirt features UA CoolSwitch, 4-way stretch fabrication, and the innovative Moisture Transport System technology to keep you performing at the top of your game. With a loose, fuller cut for complete comfort, the Under Armour Men&apos;s CoolSwitch Thermocline Long Sleeve Shirt features UA CoolSwitch, 4-way stretch fabrication, and the innovative Moisture Transport System technology to keep you performing at the top of your game. Great shirt, as expected. Runs slightly small. I wear a XL. Still fits good.